Win Two Tickets to Nick Cave!! ENTER TO WIN FRONT ROW NICK CAVE TICKETS!! That’s right, we’re giving away TWO FRONT ROW tickets to Nick Cave’s Calgary show at the Jubilee on June 27th. To enter, fill out a ballot in store or send us a direct message with your name/email! This entry was posted in Contests, Uncategorized on June 18, 2014 by Sloth Records. 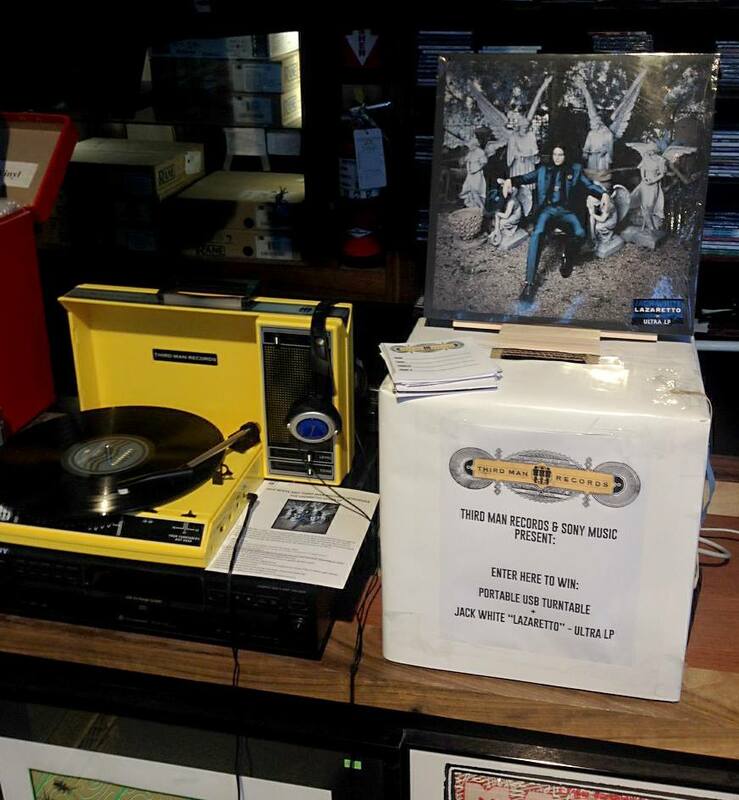 We’re pleased be one of only 10 stores across Canada to be giving away this ultra-limited “ultra” version of the new JACK WHITE LP “Lazaretto” along with a THIRD MAN PORTABLE TURNTABLE! Wow! Stop by Sloth before June 10th and take an advance listen to Jack White’s new record (out June 10) and check out all the insane pressing features of the LP, like hand-etched holograms, hidden tracks and dual grooves! Fill out a ballot while you there and be entered to win! Just stop by Sloth Records at 736b 17th avenue S.W. and fill out a ballot and drop it in the ballot box. No Purchase necessary.